Plants are a great way to add some color and life to a room. Plants also help with air quality, ensuring that you and your loved ones are breathing oxygen-rich air. Only some plants work well indoors though. So in this list of the best house plants, we have compiled a list of some of the best indoor plants for you to choose from. From palms to succulents, all of the plants on this list work well indoors and look great to boot. Additionally, many of the house plants on this list are low maintenance. So even those with a black thumb should be able to enjoy the life and beauty that these plants bring. If you are looking to plant some easy to manage, and great looking outdoor plants, visit our list of the Best Perennials. 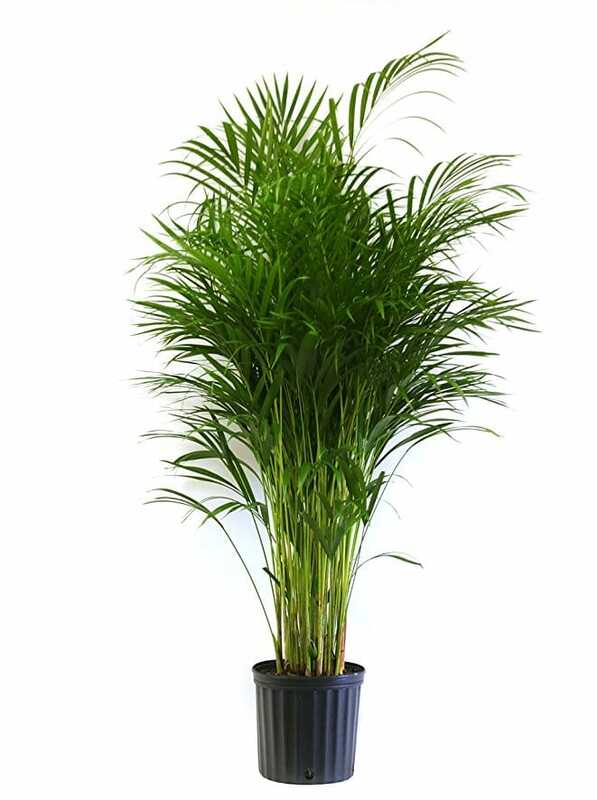 About Plant: Best in indirect light or the shade, the Bamboo Palm also made NASA’s list of top clean air plants. As a bonus, the Bamboo Palm often produces flowers and berries. For best care, water this plant well. 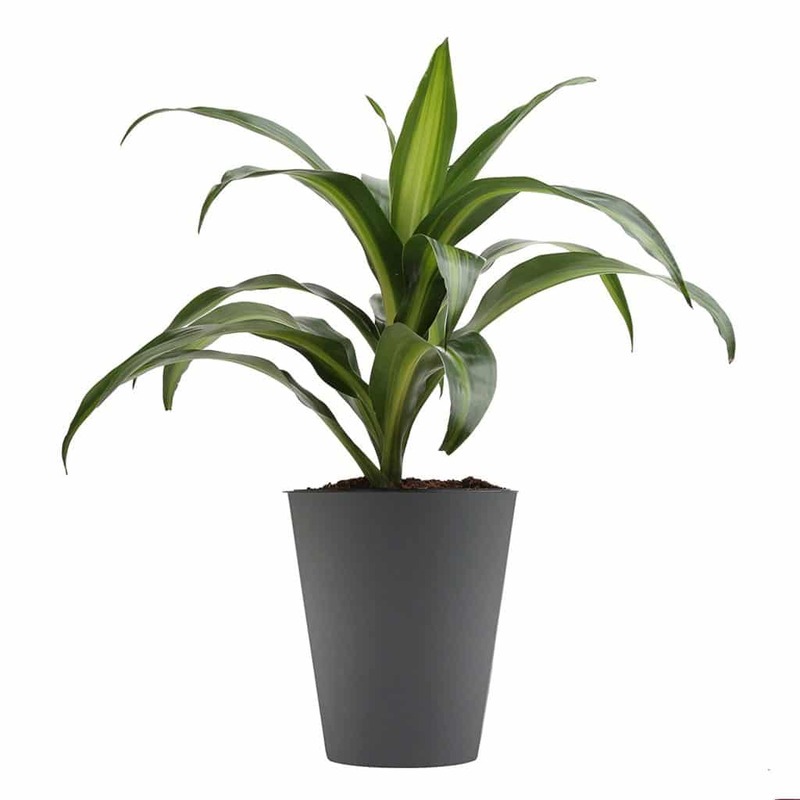 About Plant: Boasting long leaves speckled with white or red, Dracaena is a popular house plant. The plant grows fairly quickly, so regular pruning is required, but the beauty of the plant makes up for the upkeep. Dracaena grows best in medium to bright light and does not require a lot of water, so find a sunny spot for this plant and avoid overwatering. 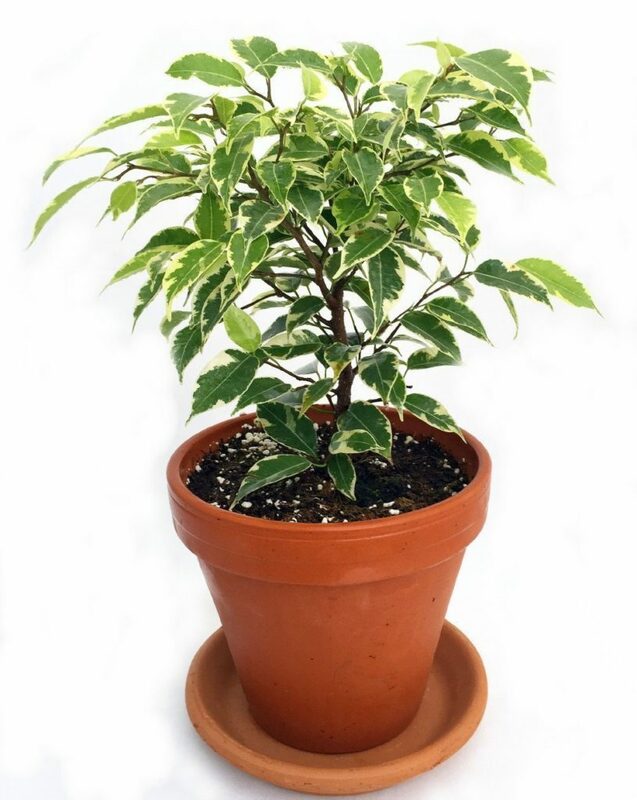 About Plant: Once used to make bowstrings (hence its name), this house plant is perfect for indoors. It is both tolerant of low light levels and also does well with irregular watering. According to NASA it also improves air quality by passively absorbing toxins such as nitrogen oxides and formaldehyde. 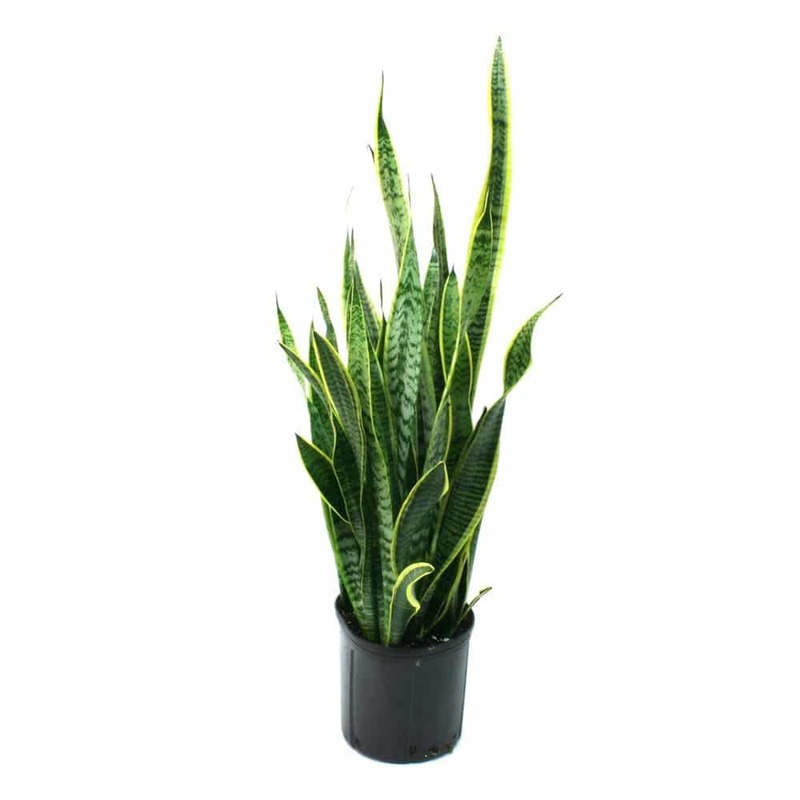 The Viper’s Bowstring Hemp plant (also commonly called the “snake plant”) is great for decoration and easy to maintain. 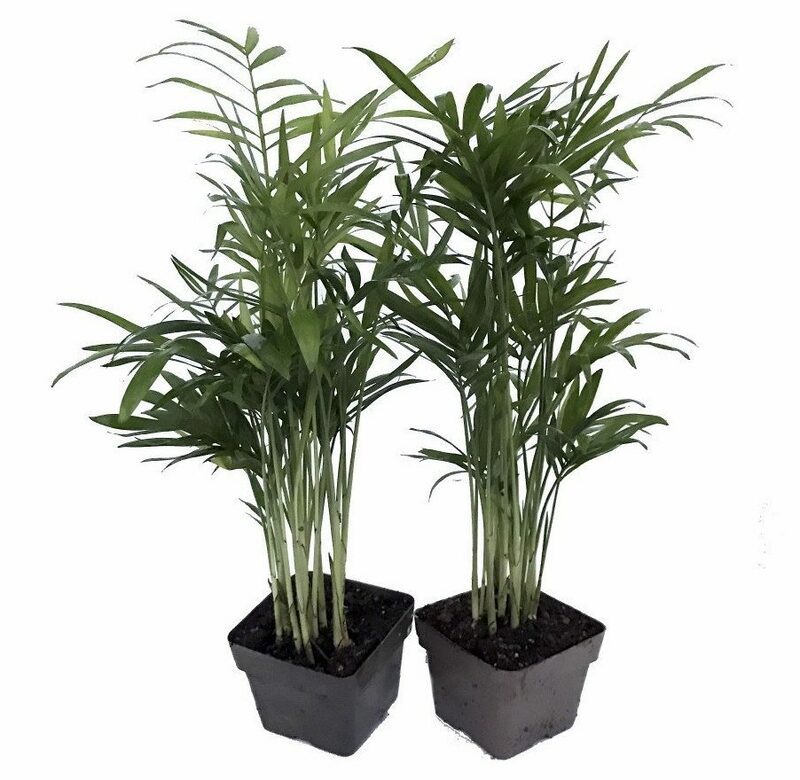 About Plant: With a lifespan of 10 years and an average growth pattern of 6-10 inches a year, the Areca Palm comes in at one of the larger plants on this list. Don’t worry though; the Areca Palm is one of the few palms that can tolerate trimming without serious harm. The key to these plants is indirect sunlight from a south or west facing window. Direct sunlight will cause the leaves to turn a yellowish-green color. About Plant: A great plant for beginners (or those who don’t quite have a green thumb), the Chinese Evergreen plant tolerates just about any indoor condition. Along with being tough, it is also very beautiful and will allow you to spruce up your indoor spaces. For a great looking plant that requires low maintenance, make sure you check out the Chinese Evergreen. 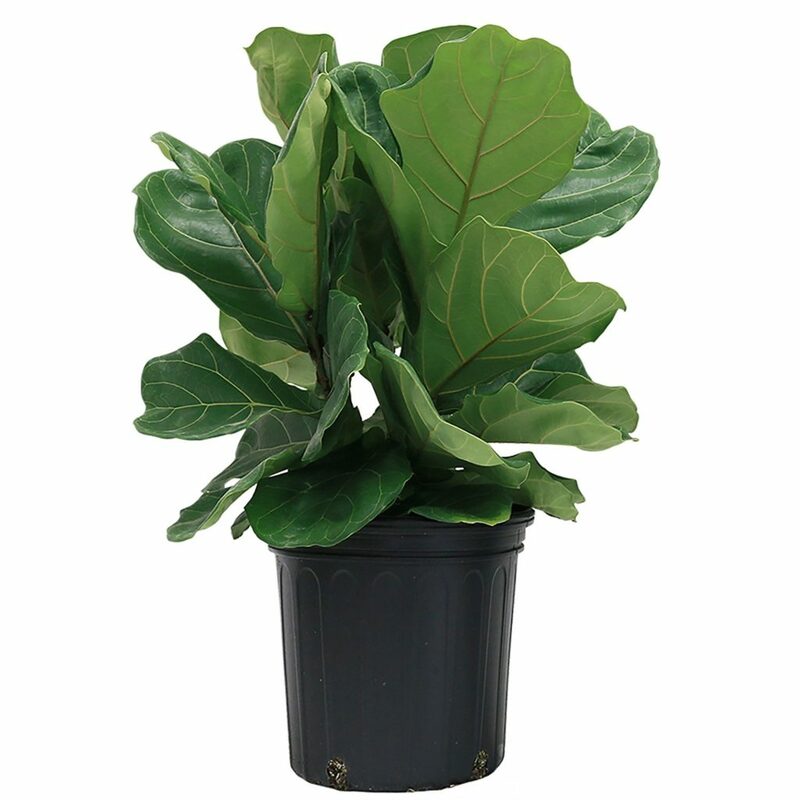 About Plant: With a tall stature that isn’t overly bushy like some plants, the Fiddle-Leaf Fig plant is going to be perfect for the corners of a room. This house plant needs a little bit more attention than some of the plants on this list, but with the proper know how it will be easy to maintain. A few tips are; keep in direct light, water when the soil is dry to the touch, and rotate every several months. About Plant: A smaller house plant that is perfect for a home or office setting, the Peperomia plant does well in warm locations. With a number of different looking options when it comes to selecting a Peperomia plant, you will be able to find a plant that fits your style and look. These plants thrive best when the light is bright but not direct, and only need water once the soil is dried out. 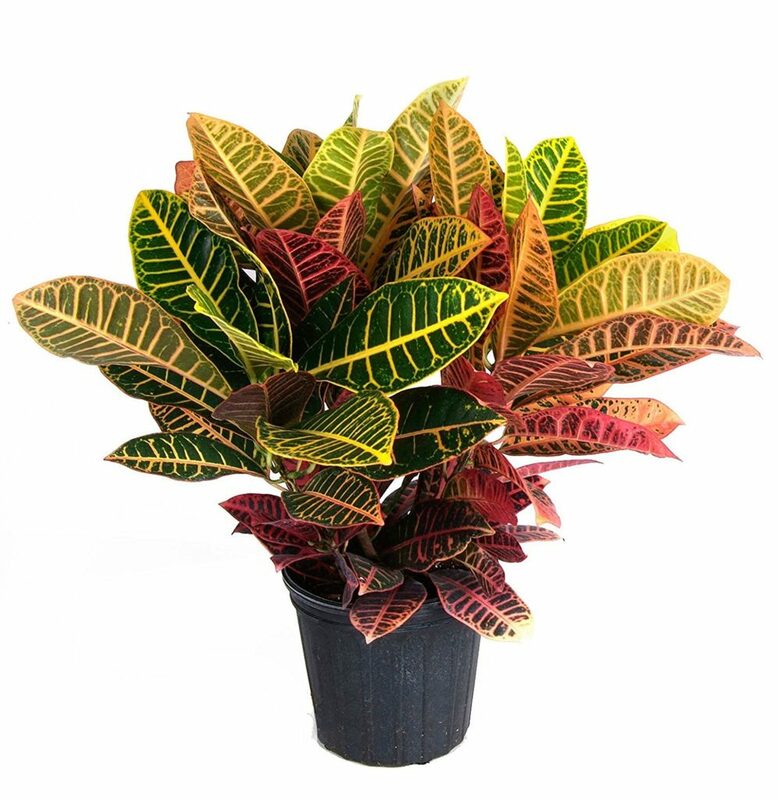 About Plant: With stunning vibrant colors, the Croton plant is an indoor plant fan favorite. With Croton plants being a little bit more “fussy” when it comes to care, you may need to spend a little bit more time learning exactly what your plant needs. Don’t let this scare you away though as it is just a little bit more attention to detail, and in return, you will have a beautiful plant to highlight your house. About Plant: The weeping fig is one of the more popular house plants. Its good looks, slow growth, and easy maintenance all add to its popularity. Best in bright spaces and perfect for corners of rooms where they can be left to grow, the weeping fig goes well with pretty much any home decor. About Plant: Boston Ferns are going to require the right kind of environment to thrive. They need a cool place with high humidity and indirect sunlight. It will be important to always keep the soil damp; dry soil will lead to the plant potentially dying. 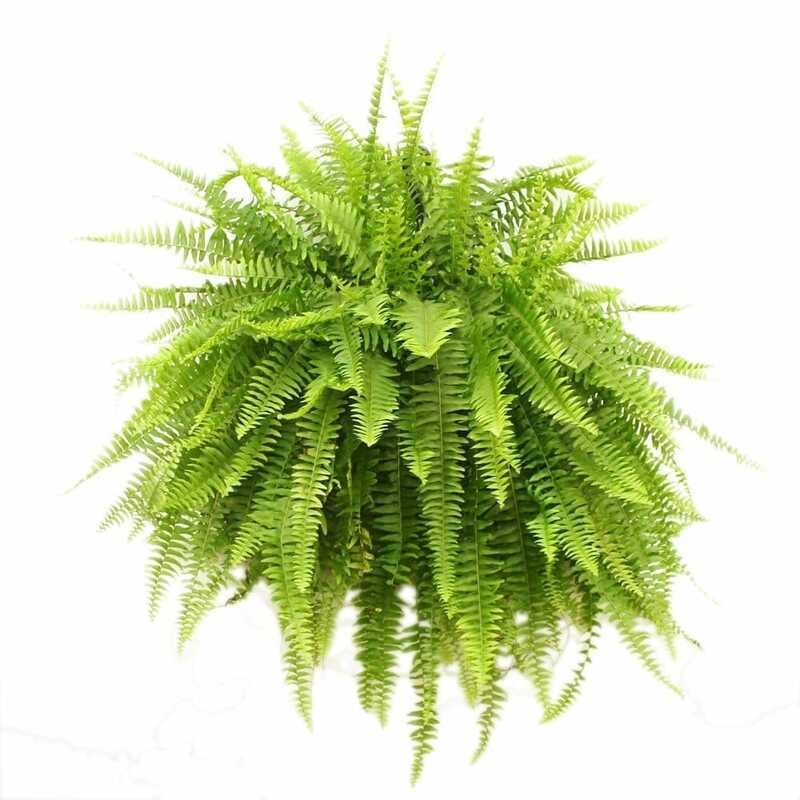 The Boston Fern is going to require a bit more upkeep than some of the more sturdy plants on this list, but if you are willing to put in the needed time to give it the care it needs, it is a great looking plant. 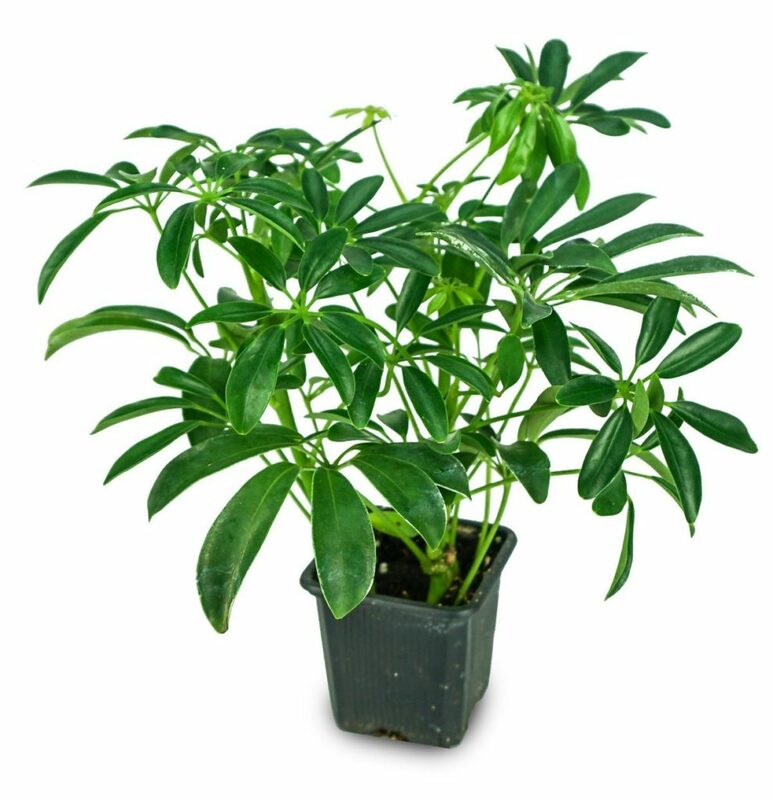 About Plant: Not the trendiest of plants, but still great looking and easy to care for, the Umbrella Plant may be exactly what your home needs. 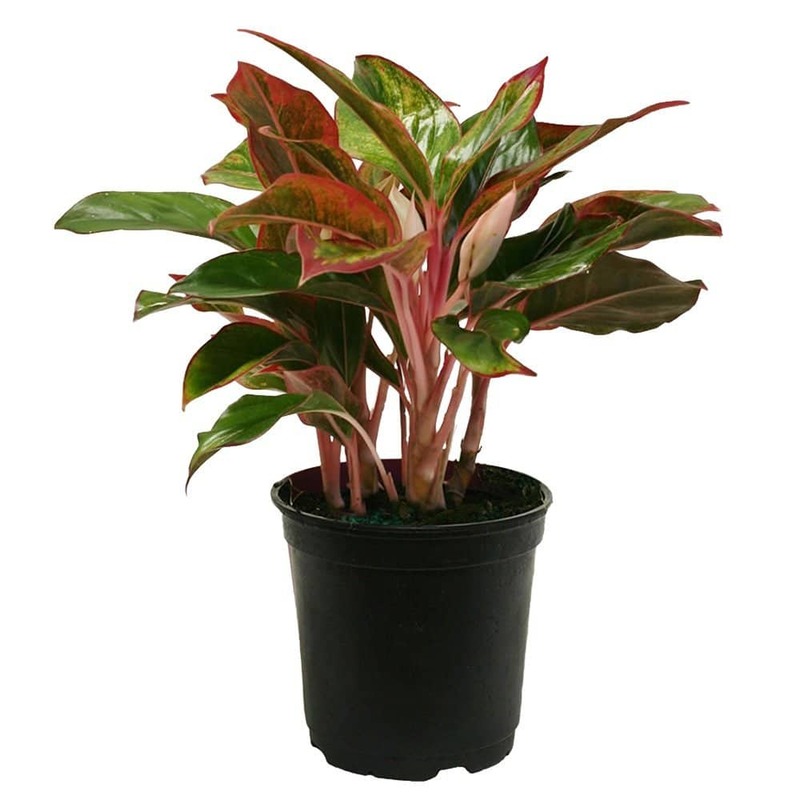 Best in bright indirect light, and with a pot that allows for drainage if over watered, this house plant does not require much attention. It will do well in pretty much all locations and will leave you pleased with a great looking plant. About Plant: What is better than a houseplant? How about one that you can also eat? 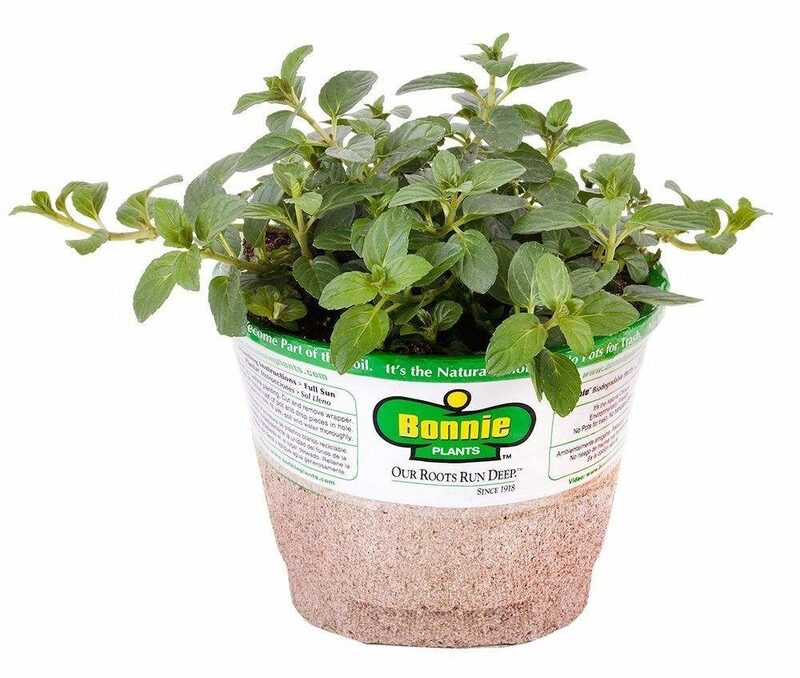 The Mint Plant is going to be relatively easy to take care of, looks great, and will allow you to use its leaves for different drinks and foods. With hundreds of different mint varieties, you will be able to find the plant that works best for you. 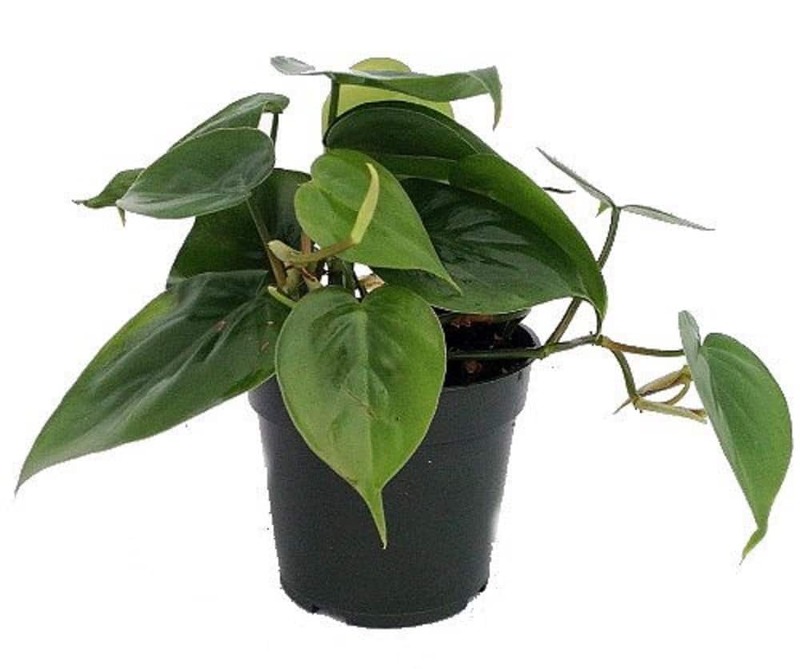 About Plant: Great for low-lit areas, Philodendron is also very easy to grow and propagate (root to stem cuttings). The plant can be kept small or large and is easily draped, making it a very versatile plant. Do note, however, that the leaves of Philodendron are poisonous to animals and people if consumed in large quantities. 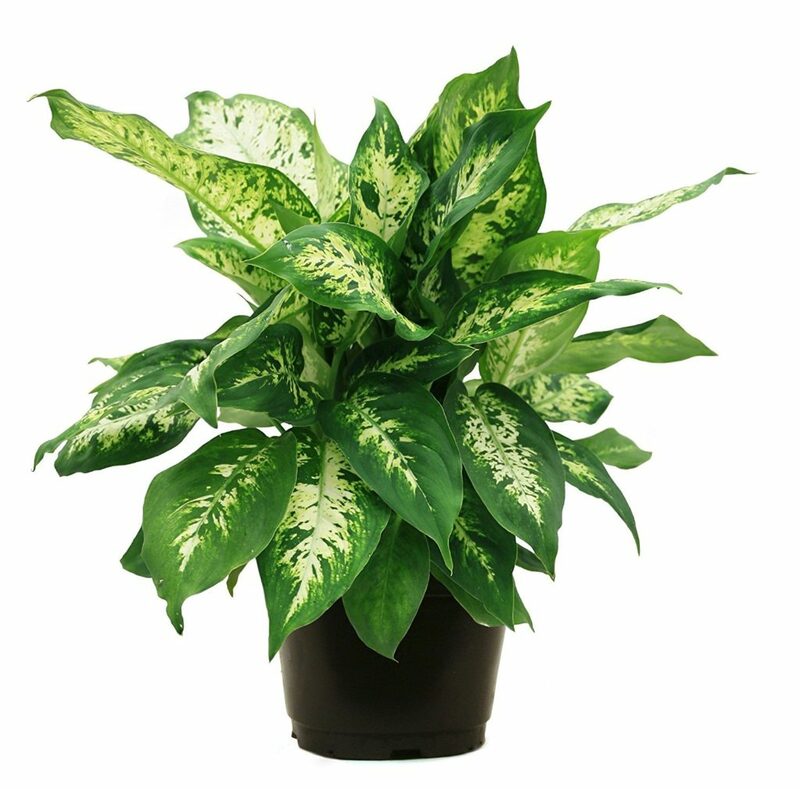 About Plant: A larger indoor plant, the Dumb Cane plant or Dieffenbachia is a great tropical-looking plant. The plant thrives in medium or low lighting and does its best growing with evenly moist soil. 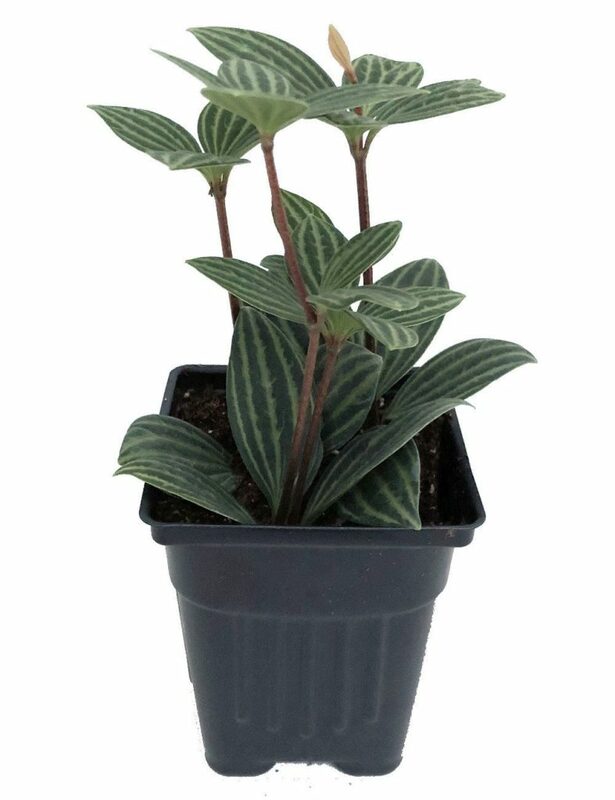 Perfect for giving a room that extra shot of life and vibrant color, the Dumb Cane plant may be perfect for you. 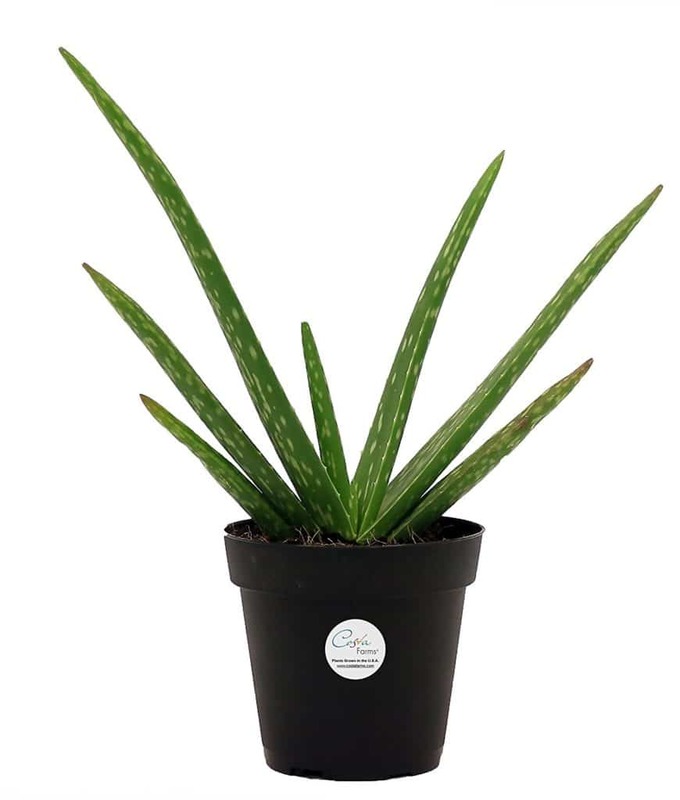 About Plant: Not just for sunburns, the Aloe Vera plant also makes an attractive house plant. This plant comes in various sizes, so this succulent can be used to fill small or large spaces. As a succulent, Aloe grows best with lots of sunlight and relatively dry soil. 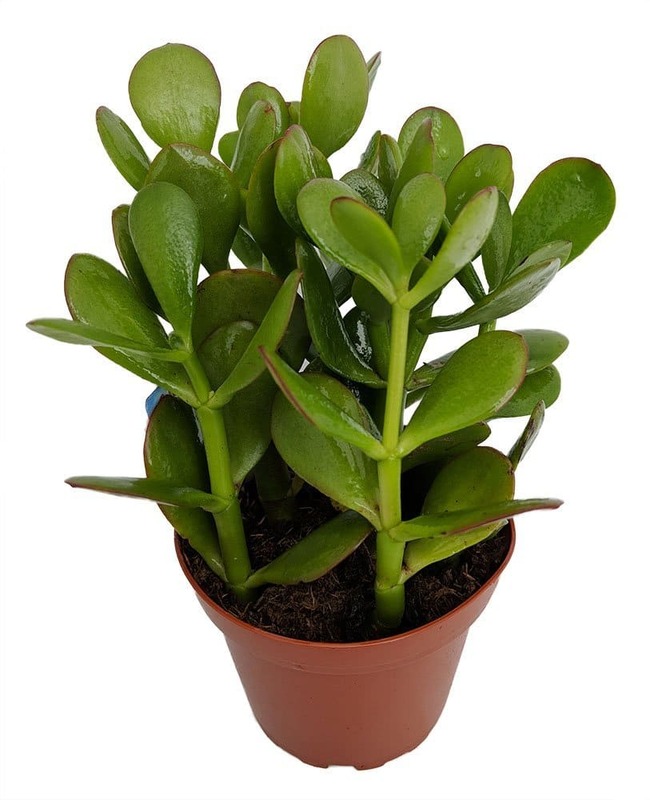 About Plant: A long-living, slow-growing plant, the Jade Plant has thick, lush foliage. For best growth, keep this plant in bright light and don’t allow it to dry out fully. You don’t want to over water either though, so add water when the top layer of soil is dry to the touch. 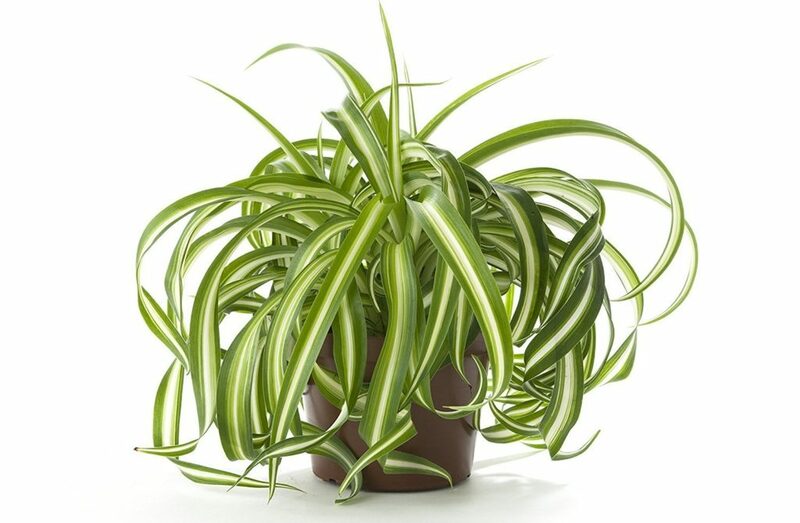 About Plant: With long, spiky leaves the Spider Plant makes a great hanging plant. The plant grows best in room temperatures of 60 to 75 and likes moist soil and bright or medium sunlight. 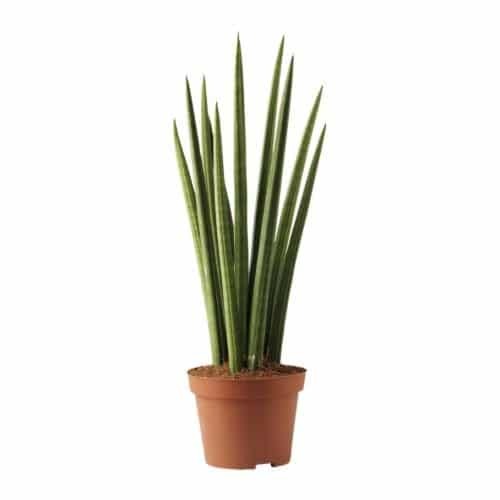 About Plant: A very low maintenance house plant, the Cylindrical Snake Plant is unique looking and will add to the decor of your house. If you have trouble keeping plant life alive, this is one house plant that you should highly consider. It will withstand pretty much any environment and seems as if it almost indestructible. 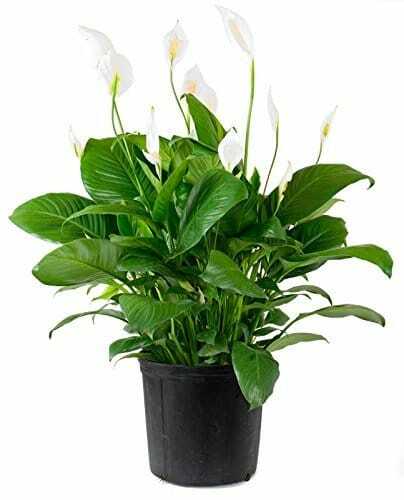 About Plant: With glossy leaves and beautiful flowers, the Peace Lily is a great low maintenance house plant. While the flowers generally bloom during summer, the dark leaves of the Peace Lily make the plant attractive throughout the year. The plant flourishes in low to bright light and evenly moist soil. 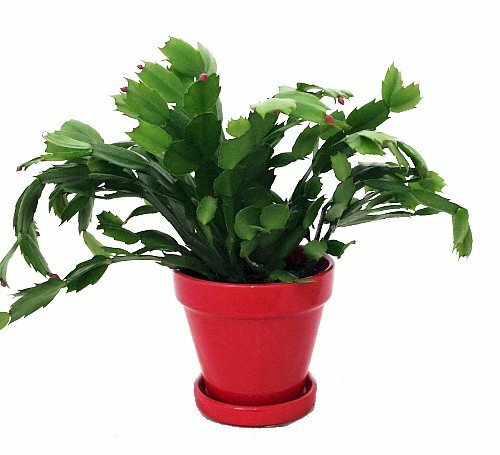 About Plant: With several different varieties, the Christmas Cactus boasts beautiful, petite flowers in colors ranging from white to red-orange. If pruned properly, the plant branches and will become quite full. Like a cactus, this plant grows well in well-drained soil and bright light. 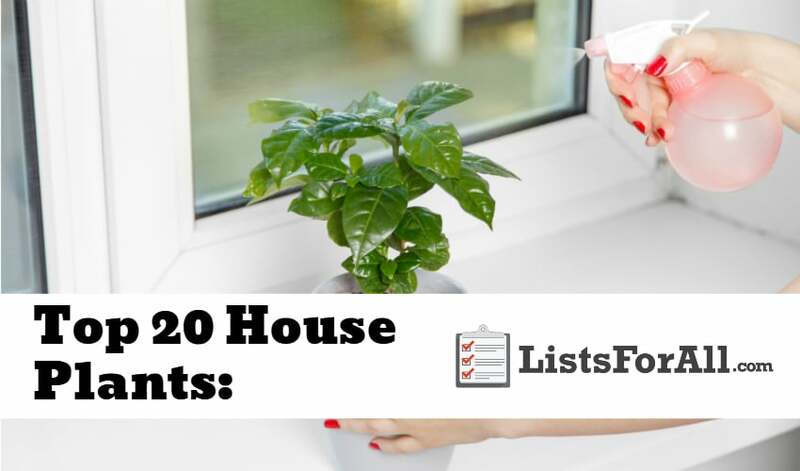 Our goal for this list of the best house plants was to provide plants that not only looked good but that hopefully would be easy to keep alive and looking great for those of us that might not have the greenest of thumbs. So hopefully you were able to find a couple of great types of plants that will shortly be finding a window sill or shelf in your house. Have you had one of these house plants before? Let us know what you thought of them in the comments below.